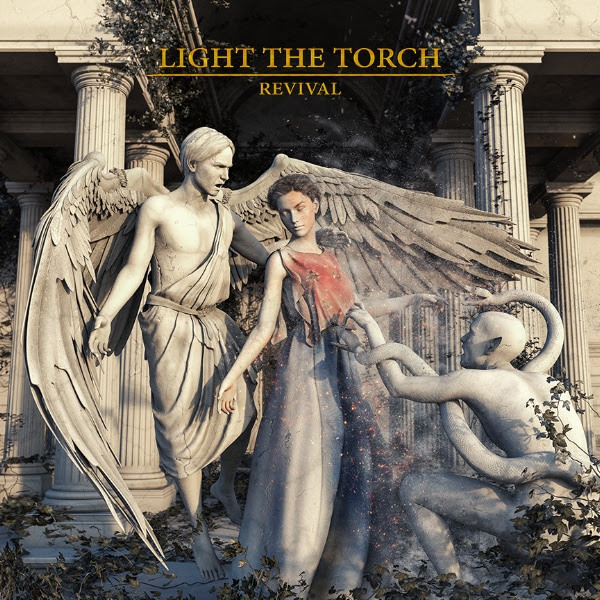 LIGHT THE TORCH (formerly known as Devil You Know) will release their new album Revival via Nuclear Blast Entertainment on March 30. The band has shared the song “Die Alone,” which opens Revival. Watch the video and listen here. The Los Angeles, CA trio — the aforementioned Jones, Francesco Artusato [guitar], and Ryan Wombacher[bass] — drew from five years together as Devil You Know to forge a wholly distinct path. Amidst myriad struggles, they returned from the brink under a new name. The Light the Torch lineup boasts one of the most esteemed pedigrees in modern heavy music. Jones spent a decade at the helm of GRAMMY® Award-nominated and gold-selling titans Killswitch Engage. Artusato had much-lauded stint in All Shall Perish and has attained status as a shred virtuoso. Wombacher was a staple in Bleeding Through for well over a decade. For Revival, they are joined by Extinction A.D. drummer Mike “Scuzz” Sciularabehind the kit. Revival is available for pre-order here. The album artwork, pictured below, was designed by Artusato.